Happy Friday friends! I hope you are enjoying a lovely fall day and looking forward to a relaxing weekend. What do you have on tap for this weekend? Beautiful photo! Have a great weekend. those fluffs of hair can be seen moving in my imagination. great! thank you and you have a fab weekend as well. Beautiful photo! Absolutely stunning! I am your newest follower! Is this a new look? Or have I not noticed the blog? I love it! And she is so darling. I love the way her eyelashes stand out. I love this image both in color and BW. She is just the most precious little one! I wish we could visit a colonial area. Would be a huge bonus to my 3rd grader's curriculum. Beautiful photo! I love windswept photos! Hi there! I really enjoy your site and think it has great ideas! I've nominated you for a Very Inspiring Blogger Award ( see http://explorenewness.wordpress.com/2012/11/17/a-new-blogging-experience-blog-award-nomination/ ) All the best! Awww look at that hair! Love it. 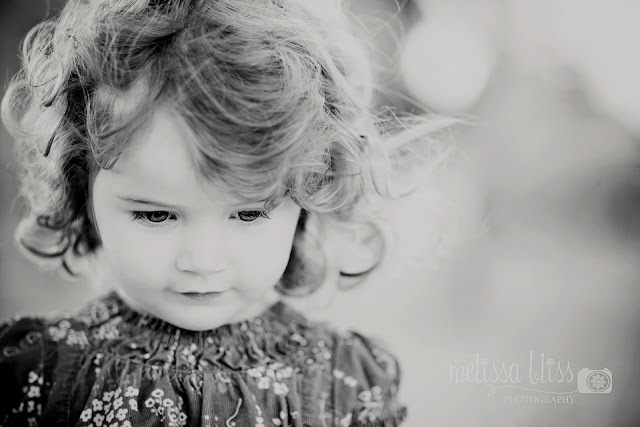 she is the most darling little girl Melissa!! i love the softness of this photo. your weekend sounds similar to mine minus Colonial Williamsburg...some Thanksgiving prep and I managed to squeeze our holiday photos in of the girls, also a bit of an aggravation! haha enjoy your weekend! A wonderful photo captured in the right moment. I like your editing too. She's precious! And now I have to remember that Colonial Williamsburg has ginger cakes and cider worth trying.